Richmond has a fantastic new listening room called the Tin Pan where both national and regional acts perform. We played to a packed house Friday April 10th. Though we played a house concert in Richmond last year (thanks Betty), this was our first real gig in the city. What a blast! There are several great things about the Tin Pan, like real craft cocktails made by a master (Kevin Liu, co-owner of the Tin Pan and author of a cocktail book), great food, and a nice relaced atmosphere. But the best thing for us as a band was the excellent sound run by Kevin. The best sound we’ve had so far. 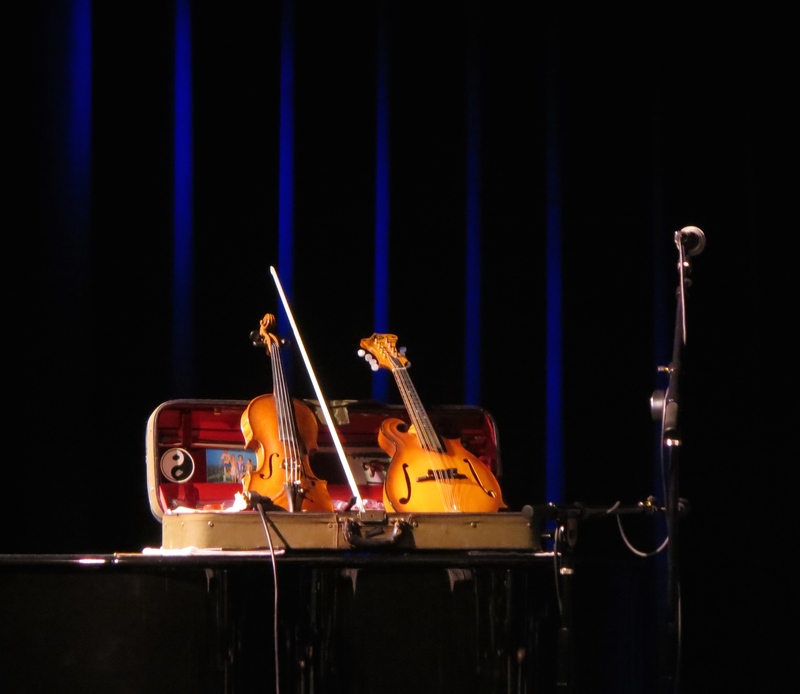 We were fortunate to be joined on stage by multi-instrumentalist and all around professional musician Charles Arthur. Charles opened the show and played a song in each set. Here is a video of Scarlet at Midnight, a song by Clark Hansbarger on our CD Again. Charles joined the band on the dobro. Here is A Night Like This, also by Clark Hansbarger. This one is from our first CD 13. We had a great time in Richmond. That’s two for two on our Four City, One Barn Tour! We will definitely be back at the Tin Pan. Next up Shepherdstown, WV at the Old Opera House Friday May 22. Tickets are on sale now. This entry was posted in band, bitter liberals, gig, photography, video and tagged a night like this, aceldema, Allen Kitselman, bitter liberals, Clark Hansbarger, concert, conga, entertainment, fiddle, four city one barn, gary mcgraw, guitar, Listening Room, mike jewell, music, Richmond, RVA, scarlet at midnight, stories behind the songs, tin pan. Bookmark the permalink. Very good music. Y’all sound great ! 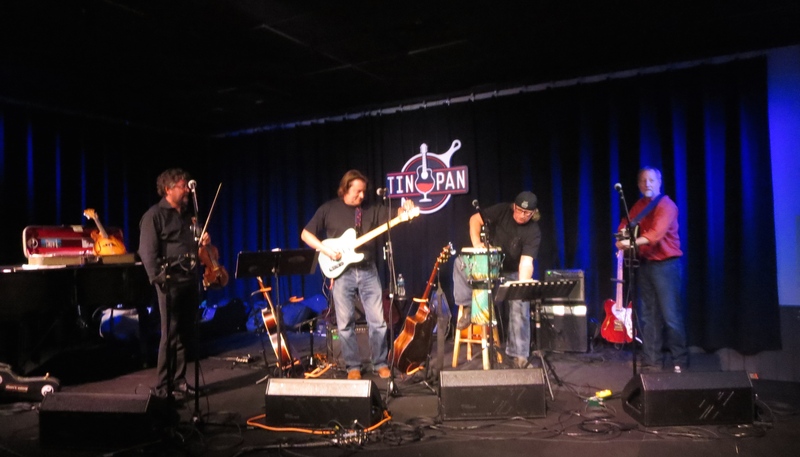 The Tin Pan is a great place to play in Richmond !